As I drove south on I-5 on Sunday (May 30), I was thrilled to see the clouds breaking up and an actual sunny day appearing in Douglas County. I was heading to Lookout Mountain near the North Umpqua and didn’t want to miss the almost 360° view—nor did I want to spend one more day dealing with clouds and sprinkles. Enough already! From the summit you can see snow remaining on Mt. Thielsen and Mt. 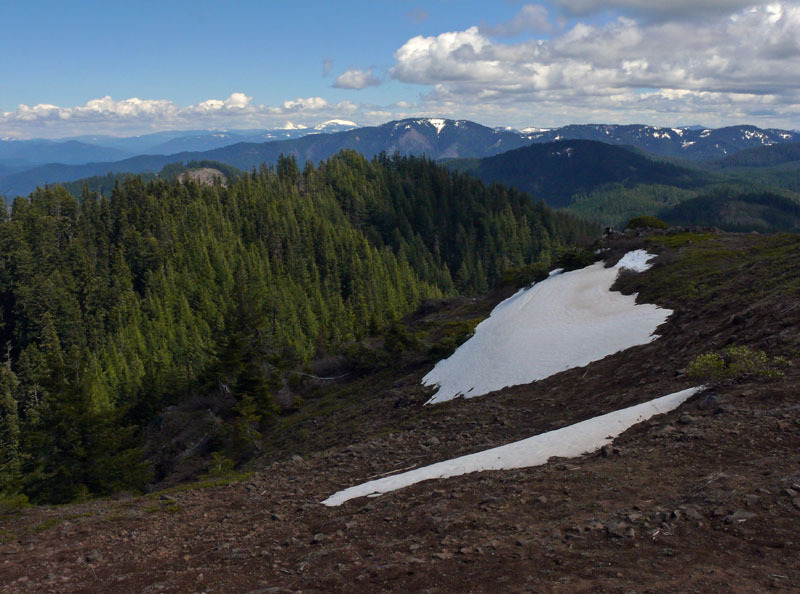 Bailey and the ridges of the Rogue-Umpqua Divide.